Improv. Not As Easy As I Thought. See that? Me. 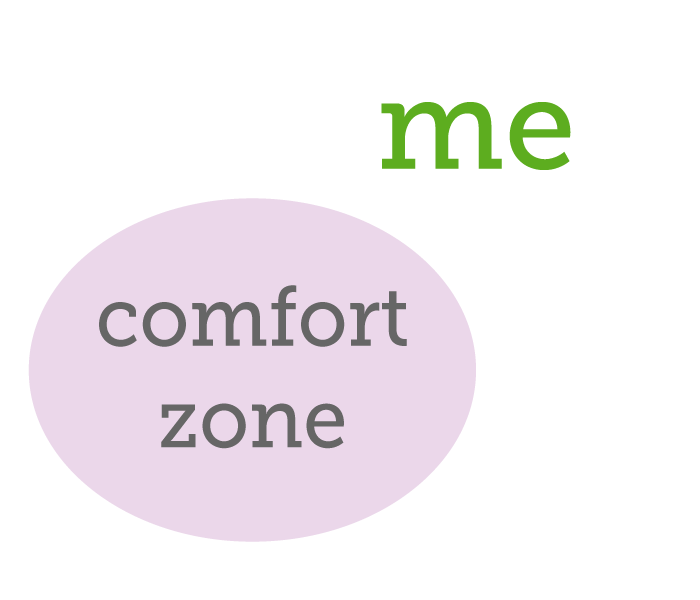 Outside my comfort zone. I was fortunate enough to take a class from Jacquie Gering this weekend. 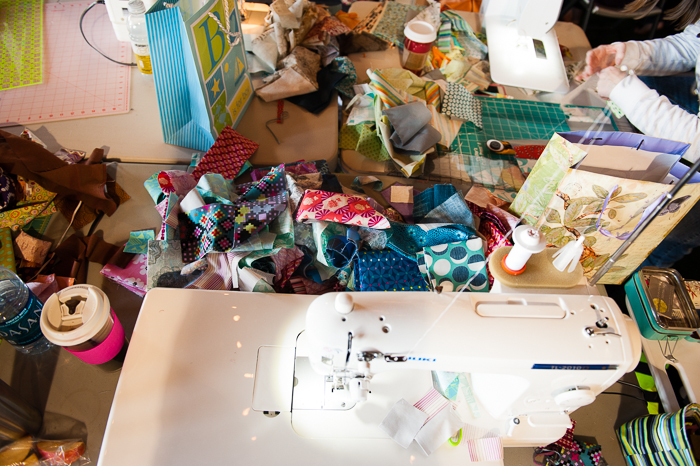 Hosted by my quilt guild, a group of us gathered to learn Scrappy Improvisational Piecing from quilter/instructor/author/blogger Jacquie Gering. 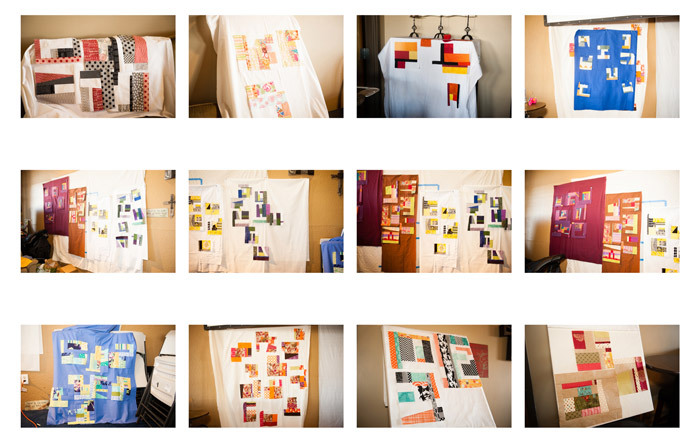 Quilt making without a pattern, block dimensions, or even an illustration was tough. And I’m pretty sure I was over-thinking the process. 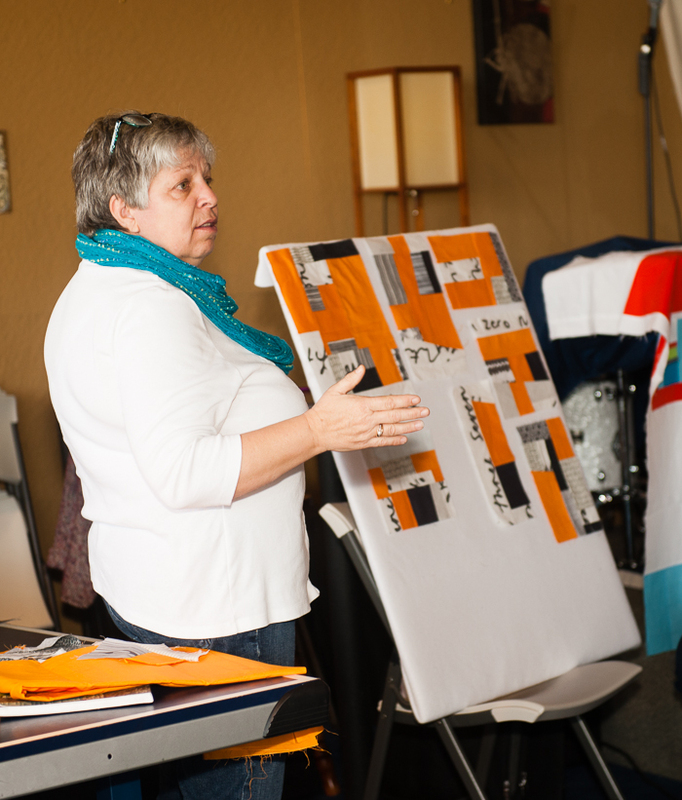 Jacquie was amazing and encouraging throughout the class, and I slowly got into the groove of slicing, stitching and pressing an assortment of fabric into different sized blocks. 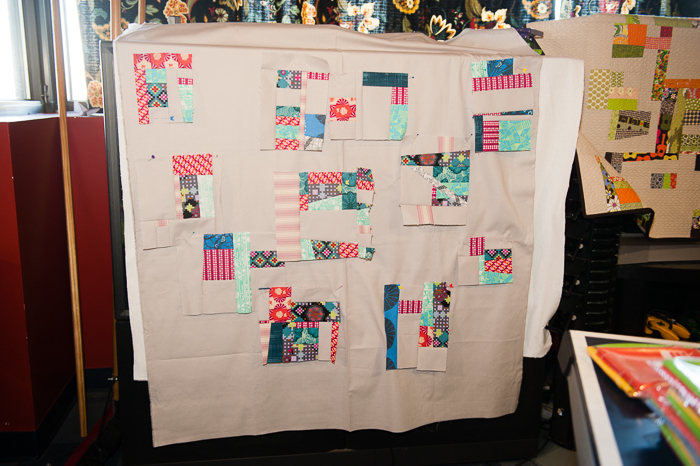 squares and rectangles are your friends! when in doubt, slice it! We had design walls set up all around the room, and as the day went on, it was really fun to see the blocks come together. I think I’m finished making blocks. And I’m not quite sold on this particular layout. Taking this class was amazingly fun and incredibly inspiring. If you get a chance to take a class from Jacquie, DO IT! She’s amazing.